France is well-known for its romantic touch and feeling and that’s why it’s best-known as the country of lovers. No wonder so many celebrities have chosen this country to celebrate their love ! But what were they after? Well, some kind of French “je-ne-sais-quoi” : a stunning architecture surrounded by laid-back cafes, an artistic atmosphere, impressive nature and a hint of carefreeness. France is without a doubt a top wedding destination. Choosing the right spot for your ceremony in France can be a bit overwhelming since there are so man gorgeous wedding location here. That’s why we have selected the most popular destinations in our packages. You can find details about them by clicking on the following names: your ceremoniy in Paris, your ceremony at Eiffel Tower, your ceremony at Notre Dame or your ceremony on French riviera to get to their dedicated pages. Would you wish some more away from the beaten tracks options, such as Geneva, you will find a page for it on our website. It’s a lovely place to have your proposal, places to renew your vows, have an unforgettable destination wedding or elope quietly. 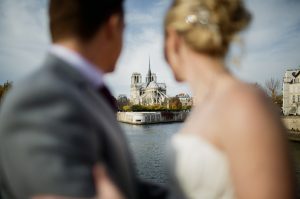 Looking for unique symbolic wedding ceremony ideas in France ? At Love Gracefully, thanks to our creative team of wedding celebrants, we can offer you a wide range of symbolic ceremonies. What makes Love Gracefully unique is that, unlike our competitors, we do not work out of templates. We never work out of copy/paste type of wedding ceremonies. To the contrary, all of our ceremonies are created just for you, with the wedding rituals you want to see. That means that we get to know you, understand your life values and listen to your wishes. Once we have gathered all that information, we start creating your symbolic ceremony. That way, your wedding blessings will be yours and not someone else’s. Whether you want a blessing ceremony in front of the Eiffel Tower or on a beach at the french riviera, we have an expertise of 10 years and over 500 creative symbolic ceremonies celebrated in France with success as you can see on our facebook or youtube pages. Whether your want a intimate elopement, a big destination wedding, a surprise proposal or a romantic vow renewal France and Love Gracefully are there to celebrate your love ! Other complex rules and requirements. 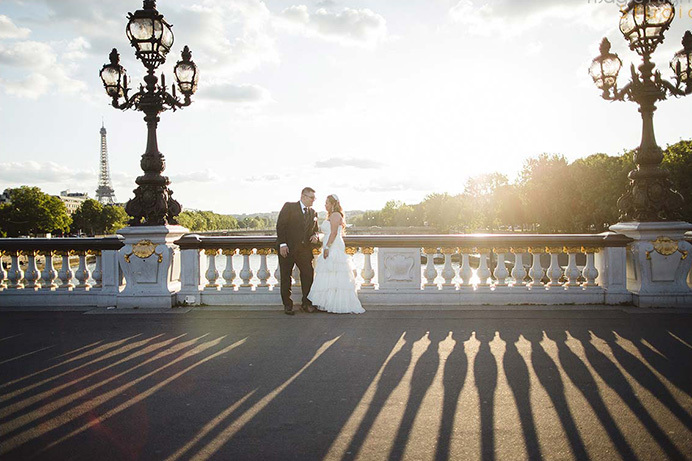 Since it’s unlikely that you will meet all these guidelines, most of the couples decide to have a civil wedding ceremony at home, before the elopement in Paris, and then, have a symbolic one at the Eiffel Tower, for exemple. This solution is the most economic one as the process for a legal ceremony in Paris is very expensive. To do that it’s quite simple, as you only need to contact us and we will help you all the way. We offer 5 different packages that you can choose from. With all these packages, we will offer you a celebrant to perform your ceremony with a text that he/she would have written specially for you. Also, would you wish to, we will contact all our favorite and talented vendors in the city to fit all your needs, like florists, hair and make-up artists, car rentals and photographers who will capture all the moments for you, so back at home, you can share all your memories and incredible photographies with your friends and family while having a wonderful party. All our celebrants are English-speaking, and they will write a personalized ceremony just for you, but it’s important that you bear in mind that it will not make your wedding ceremony any more legal, it’s always symbolic and we do not require any paper work or licenses, moreover all kinds of love are welcome!! 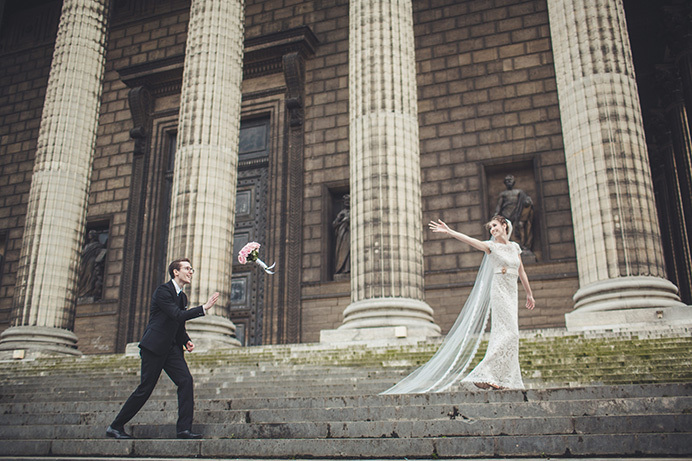 Despite all that, would you wish to go for the legal wedding in Paris and France, we would put you in touch with a lawyer, specialized in this matter. It will not be something that we would deal with as all the complexity of the process is beyond our field of expertise. All our ceremonies are symbolic, our main work is to celebrate Love in all it’s form. If you really want a legal ceremony but are flexible on the location, we would recommend you Italy, the only country in Europe where the paper work is much easier. In Italy, it takes only about 3 months for all the parperwork to be done. Depending on the Italian city you would choose, the extra cost of that process is anywhere between 2000 and 6000 euros. Whether you want a big destination wedding or just eloping we can provide you the information for Italy as we cover now most of the country. However, due to the complexity of the paper-work and due to the fact that the laws are different from one city to another, we would put you in touch with our different affiliates we have there. We have celebrated now over 100 blessing ceremonies in Italy in cities such as Florence, Rome or Venice and we can help you finding the right Italian fixer to deal with all the legallity of things. As it says in the Bible love conquers all but, unfortunately it does not conquers paper work. And, even though getting legally married in Italy is possible, it means a lot of paper work coming your way !